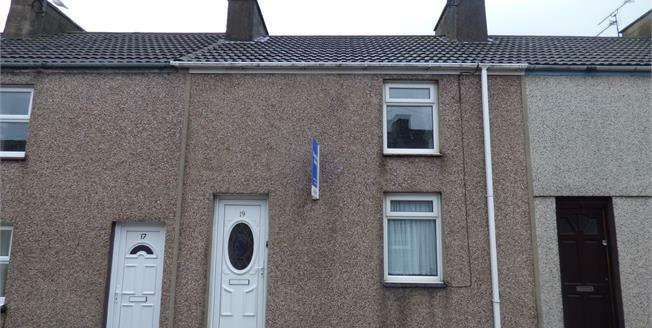 2 - 3 bedroom mid-terrace house for sale. Fully double glazed and centrally heated the extended property affords a dual aspect lounge, fully fitted kitchen, master bedroom with built in wardrobe, a further 2 bedrooms and family bathroom. Spacious rear yard with wooden shed and rear access opening onto the lane behind. This property is offered with no onward chain, viewing is recommended. Double glazed uPVC windows. Radiator, laminate flooring, ceiling light. Double glazed uPVC window. Tiled flooring, ceiling light. Fitted units, stainless steel sink and single sink, integrated, electric oven, integrated, gas hob, over hob extractor, space for washer dryer, fridge, freezer. Double glazed uPVC window with patterned glass. Heated towel rail, tiled flooring, ceiling light. Standard WC, panelled bath, electric shower, pedestal sink. Loft access . Ceiling light.